Organise and support Regimental events and activities. 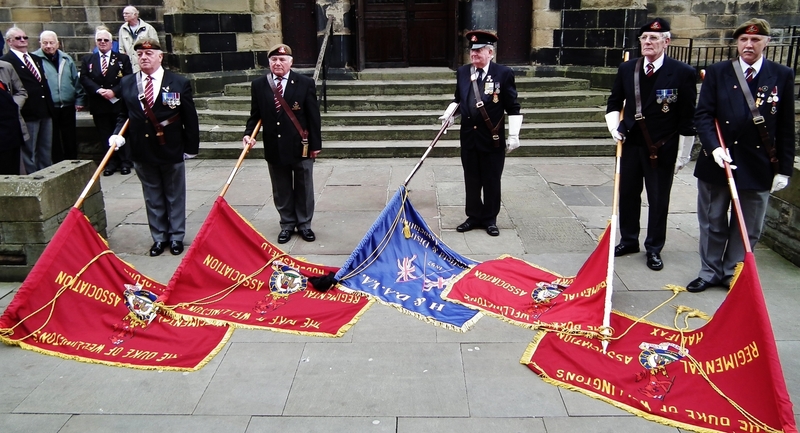 Provide a focus for the Association Branches and Branch Standard Bearers. Pass on news of our Regimental family. Support the Yorkshire Regiment – our successor Regiment and the custodian of our heritage. President:- Brigadier Andrew Meek CBE. Board and Trustees:- Colonel A Drake, Colonel SC Newton, Major DLJ Harrap, Major P Ennis, Captain John Hogg. The Board members are also Trustees of the Regimental Trust Fund. They meet twice a year to set out plans for future activities and events and set priorities for expenditure from the Regimental Trust Funds. The Trust Funds are charities in their own right and responsible to the Charity Commissioners for meeting the objects of the funds, a principal one being the support of the Regiment and its esprit de corps. Please note that the Association office is only open on Tuesday, Wednesday and Thursday. Secretary: Mr P. R. Taylor, 7 Amy Street, Ovenden, Halifax, West Yorkshire, HX3 5QB. Meeting Venue: 14:30 hrs, on the second Tuesday of each month, in the Percy Shaw Pub, Broad Street Plaza, Halifax. Meeting Venue: 20:00hrs, on the last Friday of each month, in the WO’s and Sgt’s Mess, at Huddersfield Drill Hall, St Peters Street. Meeting Venue: 19:00hrs, on the last Friday of the month, in Keighley Drill Hall Bar, Drill Street (off Lawkholme Lane) Keighley, BD21 3EA. Secretary: Mr C. Withers, 18 Wheel Lane, Grenoside, Sheffield, South Yorkshire, S35 8RN. Meeting Venue: 20:00hrs, on the second Tuesday of each month, in the 38 Signals Regiment WO’s and Sgt’s Mess, Manor Top, Sheffield, South Yorkshire.